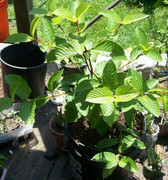 Rooted kratom plants for sale cuttings are 40$ each or 2 for $75 plus shipping. Seed pods 20$, they contain a lot of seeds. Pods will be picked and shipped within a day to ensure freshness. These cuttigs were a pain to get going and I have limited supply. They will be up potted to a cup size. You will have a nice tree to take leaf from in less than a year, they grow very fast. is that still legal in the us? What's the germination rate for seeds? Its legal in most states. Cant ship anywhere its not. Good reason to buy it now if you want it. The banning is a bit over the top. People get sick taking this stuff because its contaminated with cow poop or laced with drugs. If you eat a few leaves it gives a nice stimulating effect like a cup of coffee. I believe the plant is also a relative of coffee. Seeds are viable if you get them fresh. OK, seems it might still be legal in florida. Yah, a little stupid that they are trying to ban the stuff. Looks like they failed to ban it a few times here in FL. Its banned in sarasota county FL. Its imported from asia with no regulation so tainted stuff comes in or people add crap to it and they sell it in pot shops and people get sick. Then the nee jerk reaction is ban it. I highly doubt anyone that is growing their own has had issues. Apparwntly you just vomit if you take too much. Making it really difficult to over do it. A few leaves and you can really get good energy and heat tolerance for working outside in the sun. ha! Heat tolerance in socal? You guys are wussies! Hi Spaugh, what type is this one and how tall are cuttings. The cuttings are very small. Trust me on this, they grow very fast and very easy to grow. The little cutting will be 4ft tall in a year. They like lots of organic matter and water and it grows like a weed. Hi Spaugh and I am glad you got a few cuttings to root I did not think you would as they are very hard to root so congratulations. Friend the picture is of the flower and it might be worth trying to hand pollinate it to get it to set seeds. As I mentioned before the seeds are a bit bigger than a grain of rice some people think the left over unpollinated flower contains tiny seeds but that is not the case. They don't set seed well on there own in my area but maybe you have an insect that will pollinate them in your area. The seeds take months to fully form as well. 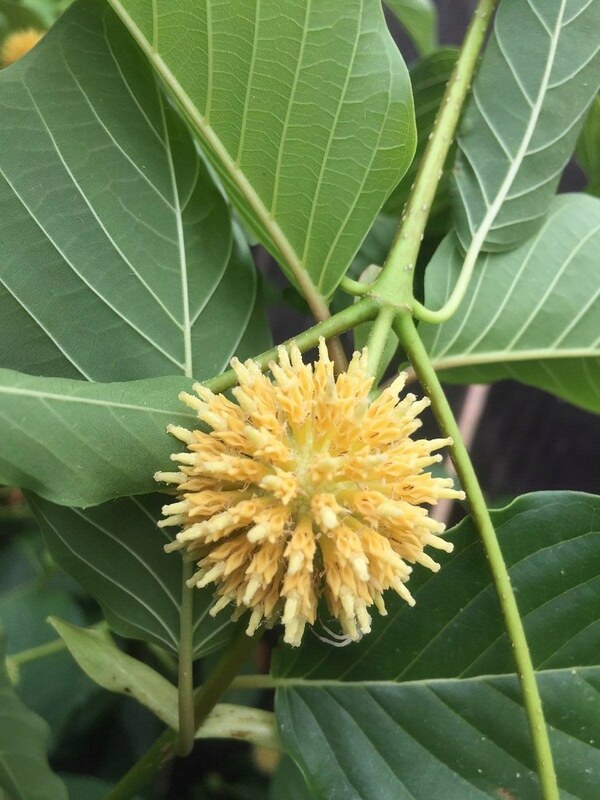 Sorry to be a pain in the .... and good luck with it as it is a great tree very useful medicinally and a beautiful ornamental tree as well. I think the cuttings were 100% takes. Ive got maybe 12 of them but many have sold already. They just require a lot of babysitting to get to root out. The seed pods are already pretty old and have been pollinated and near maturation. I am waiting for the perfect time to pick the seed pods and then ship so please everyone who wants seeds bare with me they will be ready very soon. Well done to get that strike rate amigo. Can I ask how you did them? Did you mist them or what? What season did you take the cuttings and was the plant flowering when you took the cuttings? Did you have them under lights? Any info would be appreciated. Glad to hear you pollinated them as well did you hand pollinate them or did they pollinate themselves? Sorry for the questions! To anyone looking to buy one the price is reasonable as they are hard to get / produce. I have a temperature and humidity controlled greenhouse. So I can create the right environment. And they like classical music. Ah of course that is what I forgot with mine Beethoven! In Western Oregon about every fifth gas station and convenience store gas a sign outside: "kratom sold here". I got impression entire state is addicted to this stuff. Guys theres a handful of people waiting on cuttings to go out. I up potted them and thry are doing nicely and starting to push another set of leaves so I am jist letting the roots fill out and next set harden off then I am going to ship orders this coming Monday. Feel free to check in with me. I know everyone wants their stuff asap. Im just doing this so the plants will taking shipping across the country better. All the orders are going to the east coast. so, i dont think it will get banned IMO. it has several other benefits as well. there is a good TV show (series) called "Hamiltons Pharmacopia"
Hamilton is a chemist with a passion for mind altering substances. i had a plant a few years ago, and yes, with lots of sun and water, it can grow like a weed. it was about 5ft tall and wide when a freeze took it out. but then, i have not taken it in large doses. 1 teaspoon for me (2-4 grams or so?) is enough, and you can buy a KG (2.2lb) for $80 and up. I usually eat 3 to 4 leaves raw and then go work in the yard. I take it maybe once a month and never felt an urge to take it more often. It tastes pretty bad to be honest but gives you a nice energy boost for doing hard labor like digging holes or carrying loads of mulch and compost around. All the plants went out today except for people who had seed pods or other plants on order. 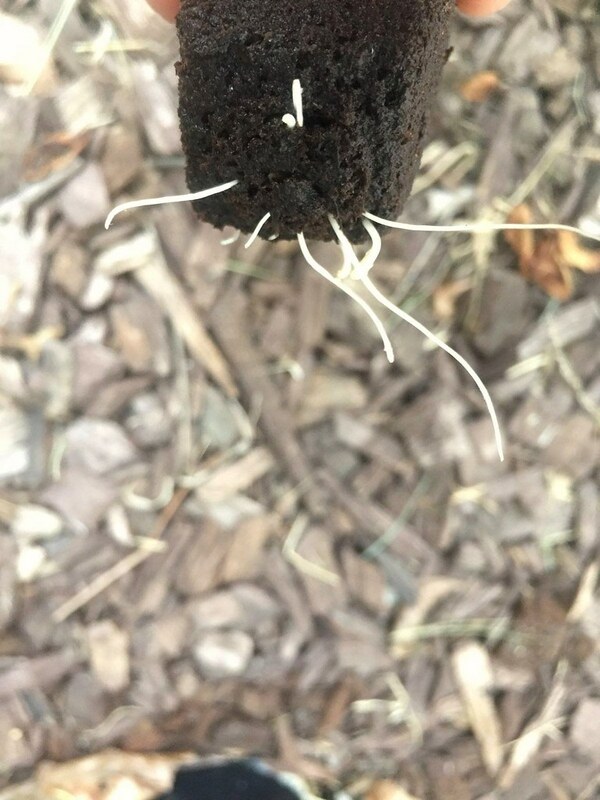 Roots are hitting the bottom of the biodegradable pots. You guys should put those directly in a 1 gal size pot or remove the bottom of the bio pot and plant it that way. One these get going in 1 gal pots, check the roots after a month or so and if roots are showing, up pot to 5gal. They will grow really fast, you need to keep them warm and up potted though. Guys, I have a couple people who paid for seed pods. I have not shipped them and I appologize for the delay. The seed pods are still swelling up and are taking longer than expected. I have not forgotten and will ship them once they are ready. If you rather me refund you until they are ready thats totally fine just send me a message. I think theres only one person that I havent talked to about it already. Im not sure your username since I see your real name in paypal. So its hard to match names in paypal to names here. Seed pods are about done. Picked one today. There will be a lot very soon. I have 4 plants left also. They are going to be too large to ship soon. If anyone wants one, I will do it for 30 plus shipping. Need to get rid of these, I already have too many of these plants. They are easy to root and I found you don't even need to use rooting powder. 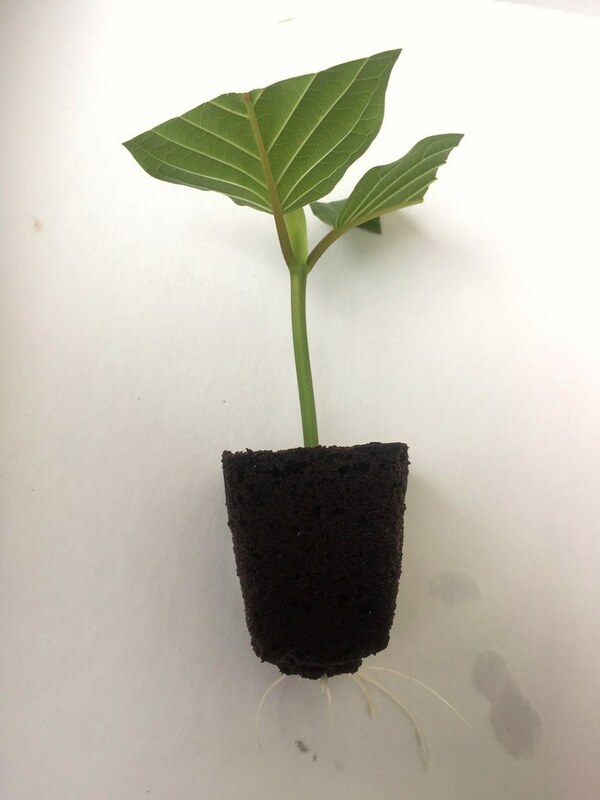 They will produce roots in a glass of water but make sure to use cuttings that are not too woody and more herbaceous and also take the ones closest the base of the plant or near the roots. I think the only issue is when you switch environments like if its from a greenhouse with high humidity to outside with lower relative humidity. You will then notice some leaf drop. It was humid all summer here in Florida and once I noticed them rooting in a glass of water i transplanted them into a small pot with soil and had no problems with them losing any leaves. They probably love the weather in FL. Seed pods are finally coming in. Down to 1 plant. Seed pods shipped. Sent you guys extra. Now theres a lot of ready pods. 3 for 20$ if anyone wants these.